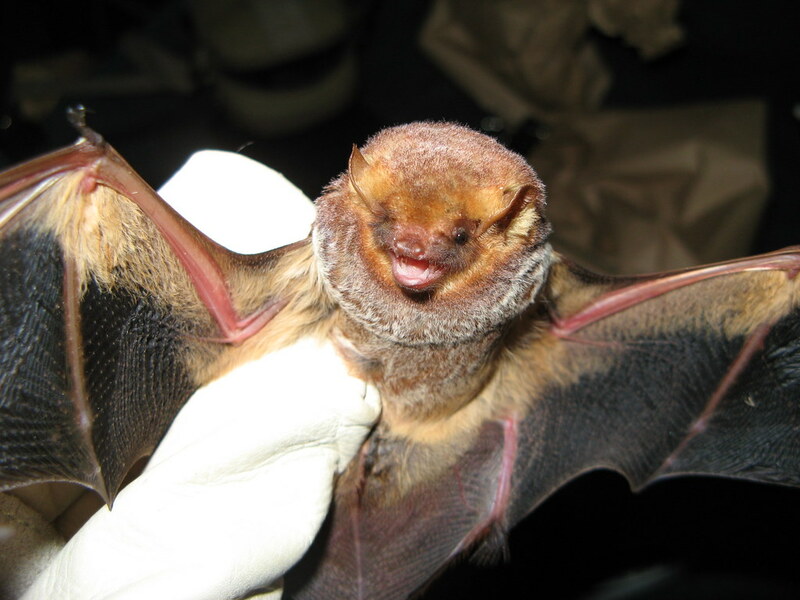 The Seminole bat has a very similar appearance to the red bat, so much so that they are often mistaken for them. They are a rich mahogany brown color that is white at the tips. Their tail membranes are covered in fur all the way to the tip. These bats are considered to be a medium-sized bat that can reach lengths of 4 ½ inches and have quite a large wingspan of up to 12 inches. They are native to the eastern and southeastern United States. They are found from central Virginia and North Carolina into northern Georgia and southeastern Tennessee, northern Mississippi, central Arkansas, southeast Oklahoma and eastern Texas. There have also been “vagrant” populations found in places where they are not known to live including south-central New York, eastern Pennsylvania, central West Virginia, and south-central Kentucky. They were first seen in Kentucky in 1998. Their presence has been recorded less than 2 dozen times and none of them have been in the winter. This presence has been seen during the maternity season in the form of the females and juveniles. They were seen in the western part of the state in the Land Between The Lakes and Mammoth Caves areas. It is thought that this presence is indicative of an expansion of their normal native range. They are commonly a forest bat that is found roosting in pine trees, underneath leaf clusters of deciduous trees, under loose pieces of bark, and within clumps of Spanish moss that grows widely in this area of the eastern and southeast United States. Seminoles are a solitary species, except for when the females have pups or juveniles that they are caring for. From late May to early June, female Seminole bats will give birth to up to 4 pups. They are a species that can be active year-round because of the mild weather within their native region. They forage for a variety of different insects in the tree canopy, along waterways, in clearings, and even low enough that they are able to catch jumping bugs like crickets.